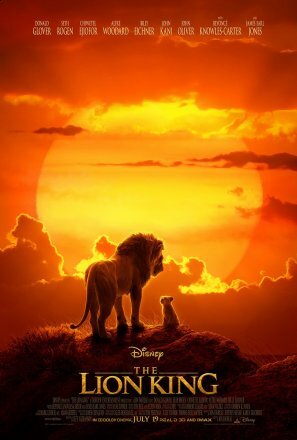 I know a lot of people are still referring to Jon Favreau’s remake of the Lion King as a live-action remake as it is part of Disney’s initiative to create live-action versions of every single one of their classic films, but I won’t call it that. This new TV spot is a great example of why. I don’t know if a single frame of that trailer contained anything that was actually live-action and was not CG. With that said, it looks great, as I’m sure it will for the next 18 months until technology takes another leap forward and these CG graphics look as dated as the CG animation we can now look back at from 2017. I’m being hard on this movie because it always feels cheap when a studio does what looks like a shot-for-shot remake of a classic property for the sole purpose of cashing in. What they’ve yet to show us is how these lifelike creations are going to look when they are singing Hakuna Matata or I Just Can’t Wait to Be King. We’ve also yet to see anything from this film that makes it special and different from the original, other than the new cast and animation style. The Lion King hits theaters on July 19th and stars Donald Glover, Beyonce, Keegan Michael-Key, Billie Eichner, James Earl Jones, Chiwitel Ejiofor, Seth Rogen, Alfre Woodard, Eric André, Florence Kasumba, John Oliver, John Kani, JD McCrary, and Shahadi Wright Joseph.